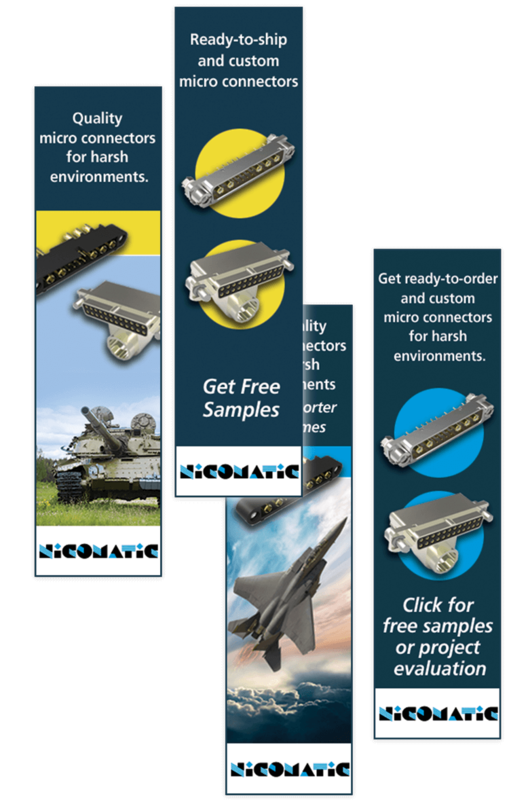 Nicomatic designs and manufactures electronic connectors and cables used in aerospace, defense and security. Their products carry power and information between printed circuit boards and cable assemblies in airplanes, tanks, weapon systems and UAVs. Pretty cool stuff. 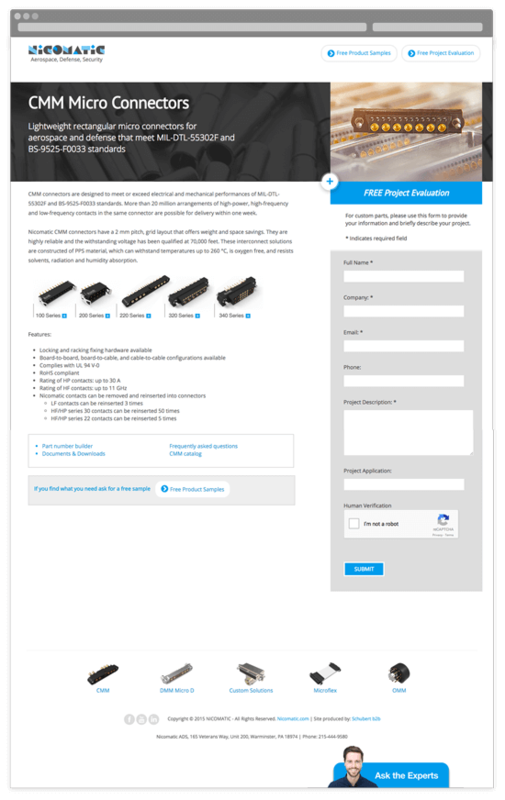 When Nicomatic needed to increase their engagement with key markets, they called Schubert b2b to lend a hand. 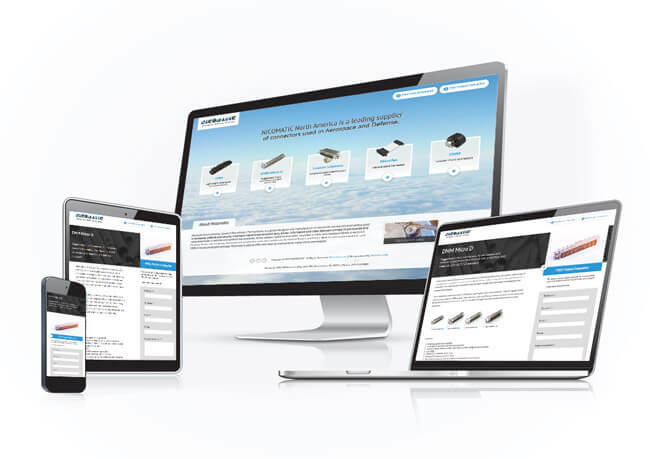 Nicomatic is known for an innovative spirit and a dedicated product portfolio in connectors and man-machine interface switching technology. A content-rich campaign microsite is supported by an online marketing campaign – including search and website retargeting ads.